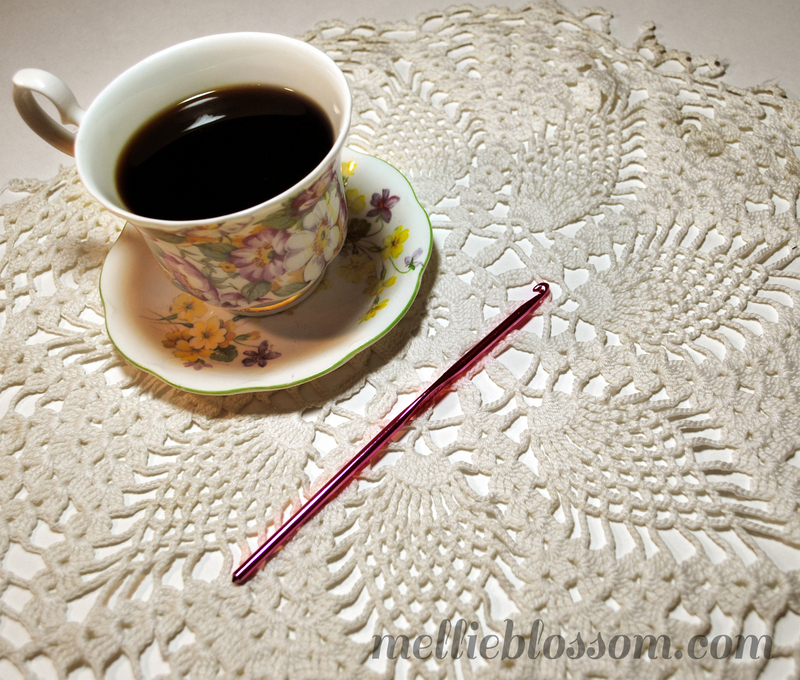 I have been severely neglecting my Crochet Along this year. Actually, I’ve been neglecting quite a few of them. I joined in with the best of intentions, but my, time flies. Now it’s already November, and I find that I’m almost 6 months behind… that’s 18 squares to do by the end of the year if I want to catch up. Add that to the myriad of holiday gifts that I’m planning on crocheting and a couple of orders that I need to fill, and it seems more than just a little daunting. The deadline is arbitrary, of course. If I don’t finish for another six months – or even if I never finish, it’s not going to be a big deal to anyone. But I really like to finish up the things I’ve started, so I’m going to try to do these a little at a time, after the children have gone to sleep at night time, and when the house is silent. The plan is to put a good show on (I’m halfway through Season 3 of Game of Thrones, and I have the next season of Downton Abbey still to watch!) and start working my way backward. I did catch up for October, though. Before the Halloween madness set in and the baby showers started, I had a couple of days to work on the monthly squares, and came out with two lovely ones. 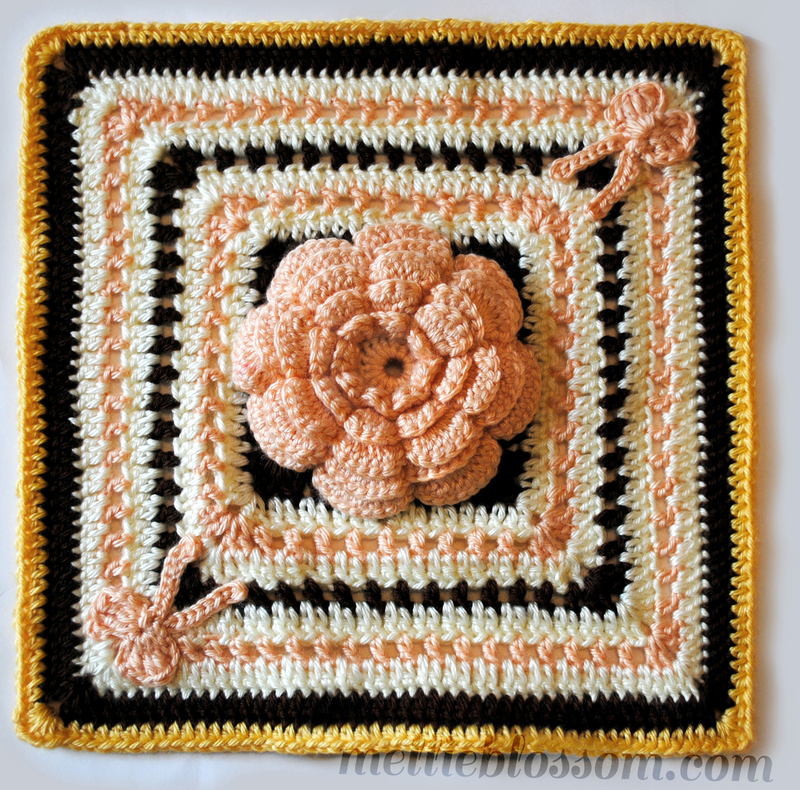 I especially love this center flower on this Ribbons and Roses Square. It’s worked upside down, how fantastic is that? And the second one is called “The Efflorescent Window“. So maybe on this upcoming cold rainy and snowy weekend, I’ll put on a big pot of coffee and some Christmas music (oh yes, the boys have been excitedly playing our Christmas CDs since the day after Halloween) and sit down with these patterns and make some up. 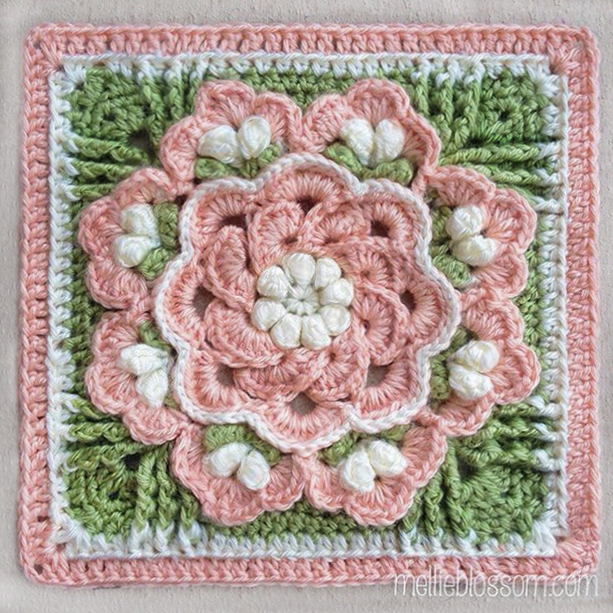 On a more exciting note, January means that the new year – and the new crochet-along will start, so if you’ve been thinking about joining in one, now’s a great chance! (I’ll post the link as soon as the group is created.) 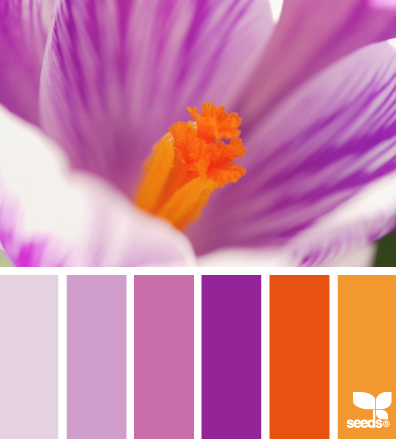 And it’s also the time that I start brainstorming what color scheme I want to do for the upcoming year…. 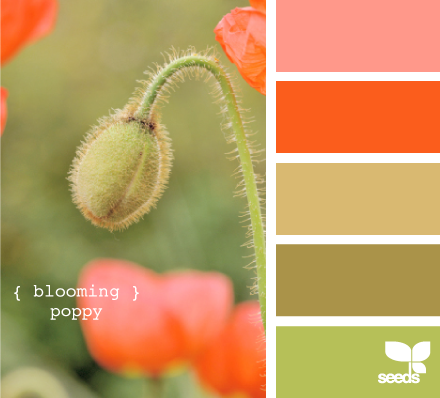 There is so much inspiration for color schemes all over the blogging world… I love Design Seeds for ideas. I also have a folder on my desk just labeled “colors” where I save any photos that inspire me. 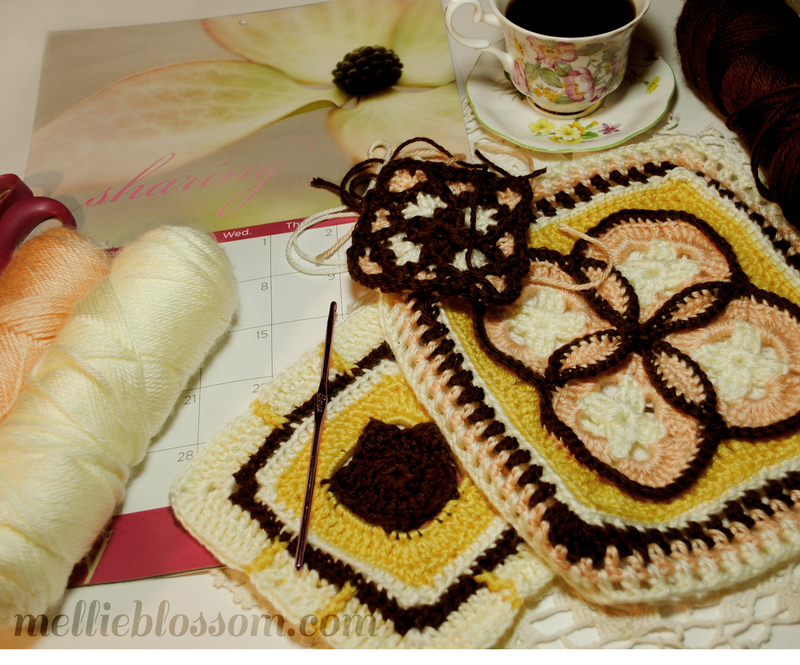 Deciding on the Crochet Along colors are fun. 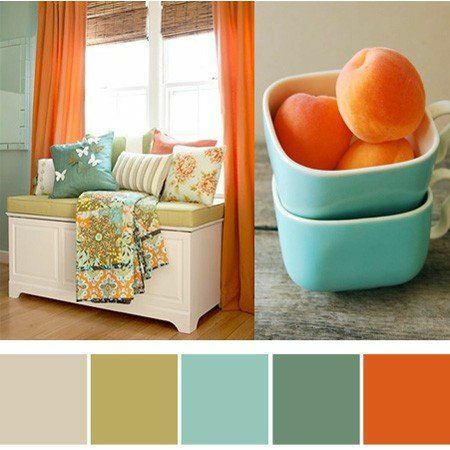 But I also really like these more earthy tones with the orange. These look like they contain a lot of the same colors from my Kale and Carrots swap squares, though, so I may pass on that. Then there’s these great shades of purple… and now I”m noticing that all three of these have some shade of orange in them. 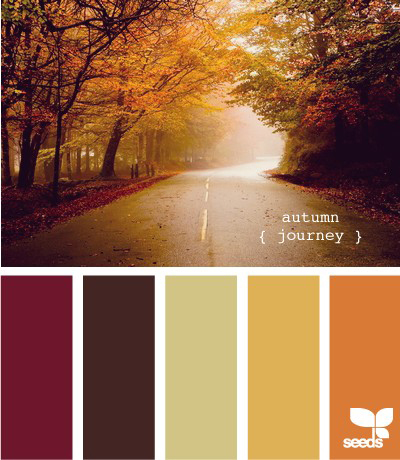 Maybe I’ve been influenced by all the beautiful fall foliage we’ve seen around here. Well, I have some time before I need to make my final decision. 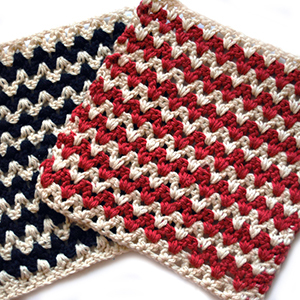 Which color scheme do you like best? 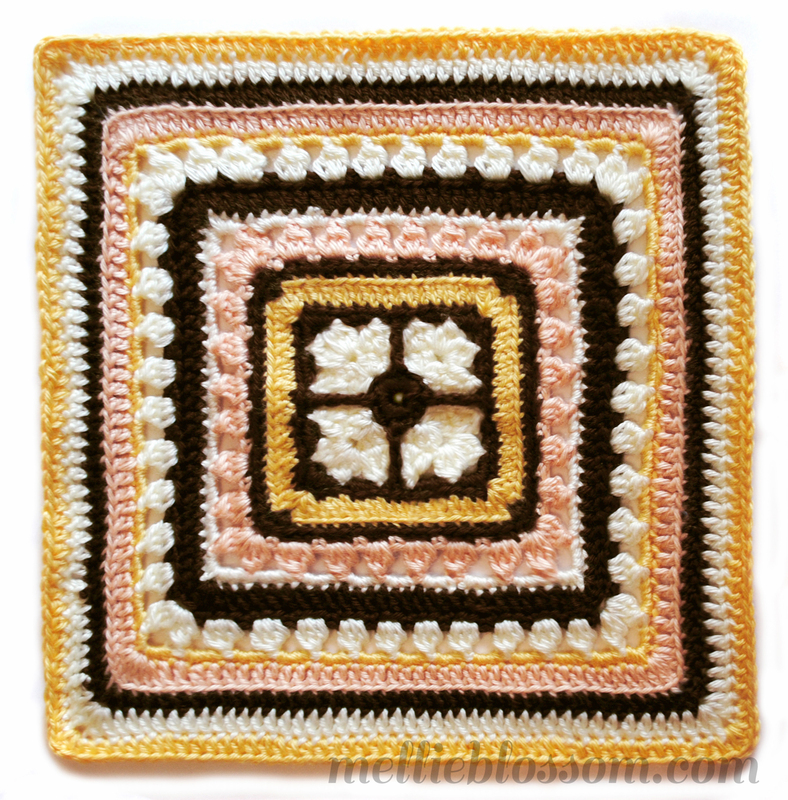 In the meantime, I have a fair share of work to do before I need to worry about the next set of squares to catch up with! 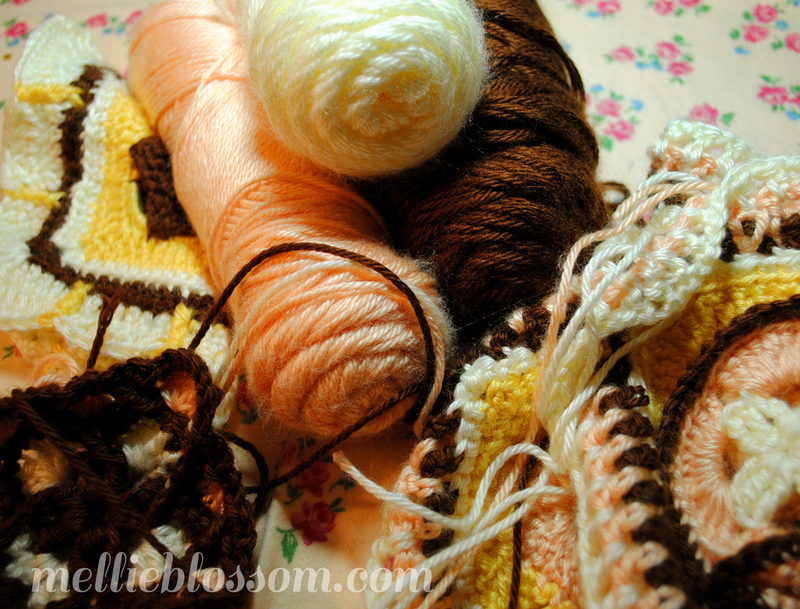 Anyway, have a great weekend, and don’t forget to stop by tomorrow for Week 3 of my Yarn Giveaway! I really like the autumn color combo. I bet an afhgan like that would be really pretty.